Last fall, state Rep. Brandt Iden (R-Oshtemo) won re-election by 2.5 points in the most expensive state House race in Michigan. 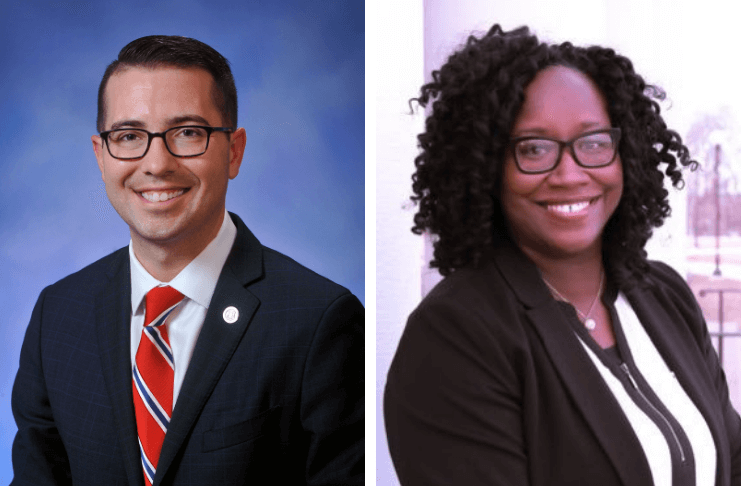 Overall, it was another record-breaking cycle for state House races, with $27.6 million spent in 2018, according to data from the nonpartisan Michigan Campaign Finance Network (MCFN). Iden faced off against Democrat Alberta Griffin in a $1.55 million battle royale for the 61st District in Kalamazoo’s environs — which was still almost half of the priciest state Senate race. That Southeast Michigan matchup between now-state Sen. Dayna Polehanki (D-Livonia) and former state Rep. and now-Michigan Republican Party Chair Laura Cox cost $2.79 million, as the Advance previously reported. The MCFN arrived at the almost $28 million overall House race price tag by including primary and general election candidate fundraising disclosures, independent-spending reports, broadcast TV ad-tracking data from Kantar Media/CMAG and TV ad filings from the Federal Communications Commission. In 2016, state House races topped $27 million. “However, in 2016, the state House contests didn’t have to compete for attention and funding with races for governor and the state Senate,” MCFN Executive Director Craig Mauger noted. 71st, $1.23 million: Now-Rep. Angela Witwer (D-Delta Twp.) defeated Republican Christine Barnes. 91st, $1.18 million: Now-Rep. Greg VanWoerkom (R-Norton Shores) beat Democrat Tanya Cabala. 40th, $1.1 million: Now-Rep. Mari Manoogian (D-Birmingham) defeated Republican David Wolkinson. 17th, $1.08 million: Rep. Joseph Bellino (R-Monroe) bested Democrat Michelle LaVoy. 41st, $1.06 million: Now-Rep. Padma Kuppa (D-Troy) beat Republican Doug Tietz. 19th, $1.01 million: Now-Rep. Laurie Pohutsky (D-Livonia) defeated Republican Brian Meakin. 99th, $1.01 million: Rep. Roger Hauck (R-Union Twp.) bested Democrat Kristen Brown.